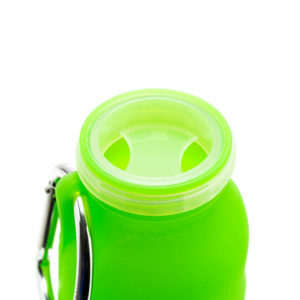 The water bottle insulator that is made for travelers or on-the-go people. 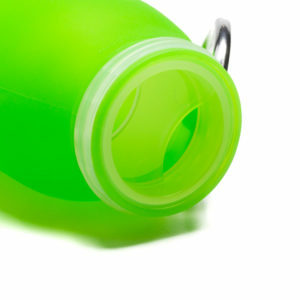 Bübi hatch is designed to help your silicone water bottle maintain both high and low temperatures. 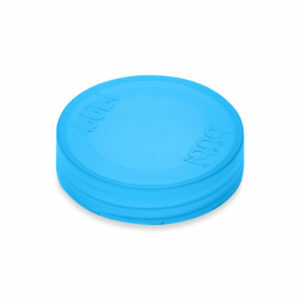 Because the unique, packable bübi bottle is so usefully squishy, normal insulators will fall off. 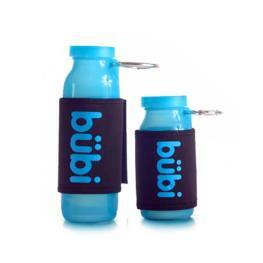 The bübi hatch is designed with a cord to secure your bottle as you put it through the paces. These are pretty slick! Works really well for a second bottle on bike rides, or at the beach. The little pouch is a great idea, too…..toss my ID in it ICE! 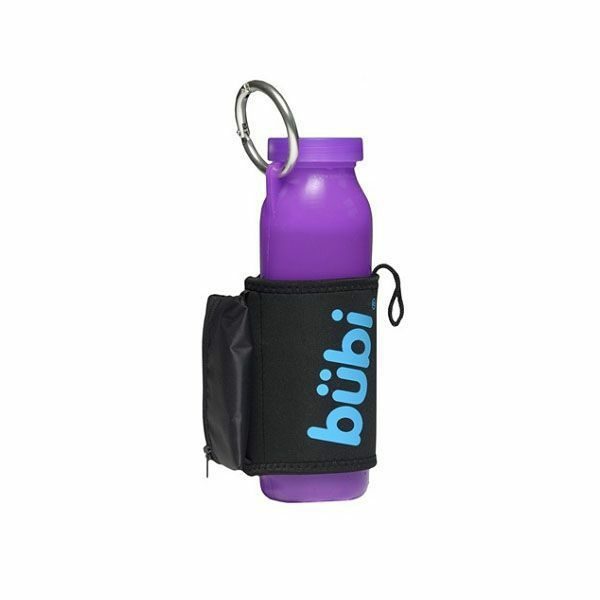 The Bubi Hatch fits both sizes of bottle. On the 14oz it is a “body cast” covering from “ankle to shoulder.” It’s more like a “classic” cozy on the larger bottle. If you are a runner or otherwise like to hold a bottle in your hand, the Hatch provides a slide-through hand-grip. The grip has elastic on the sides. I’m a woman with a large hand; I think it should be comfy for almost any hand size except maybe the VERY largest. There’s a tiny zipper pocket on the back of the hand-grip big enough to carry a key, a credit card or ID, and maybe six tootsie roll Midgies. (I haven’t used the pocket – that’s just a size guess.) If you don’t use the hand-grip, it pretty much goes flat against the hatch, so it’s not in the way. 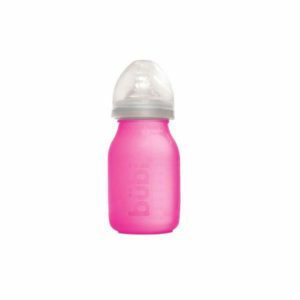 The Bubi Hatch is nice and snug on the bottle, but easy to take off if you need to. It adds a bit more insulation, and some soft “structure.” (It’s also good at sucking up the condensation if you habitually stick your borttle in the freezer overnight.) The big D-biner is still completely accessible while your bottle is “hatched.” The Bubi Hatch is nicely finished, and I expect to get years of use out of i. The Bubi Hatches are an absolute “must-have” accessory to the Bubi Bottles. They act as effective hand insulators when the bottles are frozen or very hot and keep your hands dry when exterior condensation builds up. They also supply a measure of rigidity to the bottles so they are less squishy and easier to handle. They are well designed and constructed. You can’t go wrong with these.